This 13 oz. glass coffee mug is made of deep etched glass and features a "C" shaped handle. 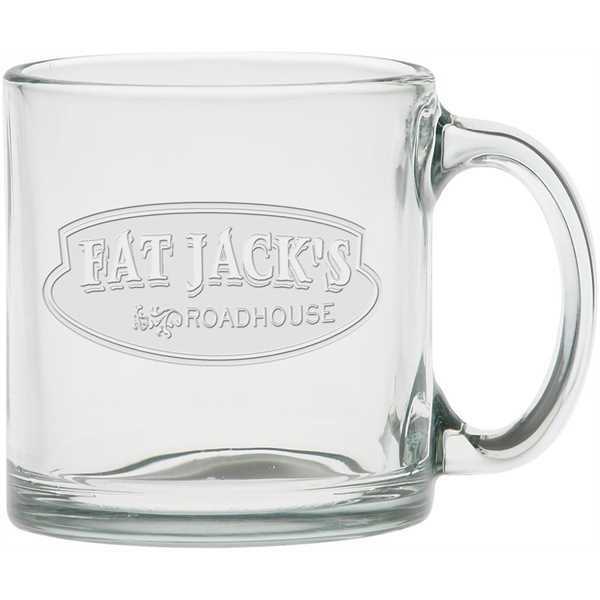 A great gift or promotional item for both employees and valued customers. From advertising agents to administrative assistants, anyone can appreciate this reusable keepsake. Perfect for cafes, diners, and other eateries. This mug may be customized with company name and logo. Hand them out at your next marketing event and watch your business grow! Price Includes: per change of copy.